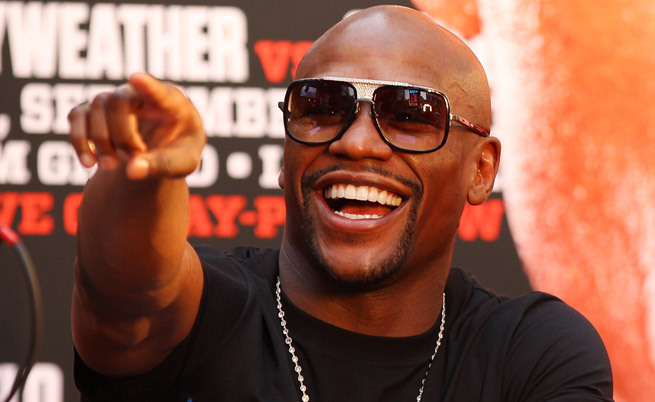 Could 50-0 record breaker and self-styled TBE Floyd Mayweather Jnr be ready to return to the ring? Despite claiming that his August blockbuster against UFC star Conor McGregor would signal the end of an illustrious and lucrative career, Floyd is now believed to be regularly back in the gym and training as hard as ever. Despite doing much of his early work on HBO, Floyd hooked up with US TV powerhouses Showtime to engage in some money-spinning contests when in the twilight of his career. “I haven’t heard anything from him that makes it seem like he’s thinking about McGregor or anything else,” stated Showtime boss Stephen Espinoza, as reported by Bloody Elbow. It’s fair to say that Mayweather looked less than stellar in the early stages of his bout with debutant McGregor. Slower and more ponderous than usual, even for his standards, Floyd took a couple of rounds by accident or design to work out the unorthodox moves of his taller, southpaw opponent. Some tasty right hands to the body took their toll, however, and by the 10th round the Dubliner was literally blowing hard and subsequently found himself stopped. Beating a novice pro in what was effectively a circus bout is one thing, but could the 40 year-old still hang with the young lions in and around the welterweight division? A rematch with the aforementioned Conor McGregor, while lucrative, appears extremely unlikely. McGregor has his own out-of-the-ring issues to deal with presently and if he returns it is likely to be against former sparring partner Paulie Malignaggi or a returning Oscar De La Hoya. Fans would no doubt relish a showdown between Mayweather and middleweight kingpin Gennady Golovkin, with the Kazakhstani insisting he would boil down to 154lbs for the chance to earn mega bucks. Mayweather is too small for light-middleweight though and is too smart to risk his legacy against a wrecking ball like Golovkin, who has laid waste to many a decent fighter up at 160. GGG has a fight with former Mayweather victim Saul Alvarez to prepare for soon anyway, if rumours of a May 2018 rematch are to be believed. Mayweather vs. Golovkin, on the other hand, will never happen. Some more realistic matchups closer to his weight class could include a rematch with Manny Pacquiao. The Filipino looked faded in his most recent outing against Jeff Horn in Australia and fans may be more reticent about swallowing a Pac-May return after the much-hyped first fight so spectacularly failed to deliver – following years of anticipation. Horn, himself, could possibly be drafted in as Mayweather’s opponent as his name now carries currency following his big win. Floyd is more likely to pick the likes of a Danny Garcia for his 51st fight. Garcia’s record is pleasing on the eye but he has been on the receiving end of some dubious decisions over time and hasn’t always fought the toughest level of opposition. Garcia is coming off a loss (which could easily be rectified before Floyd’s return) but his lack of athleticism could make him the perfect comeback foil for ‘Money’. dusting up in the ring. Rash, brash Adrien Broner modelled himself on Floyd for so long but forgot about the hardwork and dedication part of Floyd’s make up. Broner has talent but his star is fading fast, due to repeated brushes with the law as well poor performances in the ring. He still talks enough of a good fight to be under consideration here though. One fighter who probably won’t be receiving a call anytime soon is IBF welter champion Errol Spence. The talented southpaw defeated Kell Brook to take the crown and has a fight with Lamont Peterson lined up for January. If gym rumours are to be believed, Spence gave Mayweather all he could handle during their sparring sessions. Amir Khan may be busy mingling with snakes and lizards in the jungle right now, but he would jump at the chance of taking on Floyd in a fight he has always craved.